News - Kings Of Leon play for Abramovich? Kings Of Leon play for Abramovich? The £5 million bash will be held at the Chelsea FC owner's Caribbean estate on St Barts, the Sun reported. The American four-piece will be performing for 400 guests, many of whom originally thought Rihanna was set to provide the night's entertainment. The bands' drummer Nathan Followhill became a father just days ago when his wife Jesse Baylin welcomed a baby daughter, Violet. He tweeted: ""I can proudly announce the birth of my sweet angel Violet Marlowe Followill. My heart has been stolen and it feels so good." 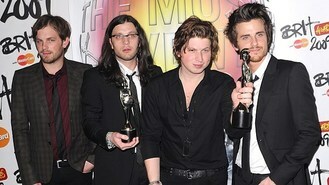 Kings Of Leon are currently working on their sixth studio album, a follow-up to 2010's Come Around Sundown.